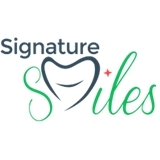 Signature Smiles (Richardson) - Book Appointment Online! Welcome to Signature Smiles! We offer high quality multi-specialty dentistry with locations in Richardson and Irving. I truly appreciate his honesty and being so kind to explain everything in details. He truly made me feel more comfortable going to see him.